On Thursday March 30th, the exhibition with "the Most Beautiful Norwegian Books of 2016" will open at Grafill in Oslo, and Byggstudio designed this year´s catalogue and exhibition. Welcome and congrats to all the winners! 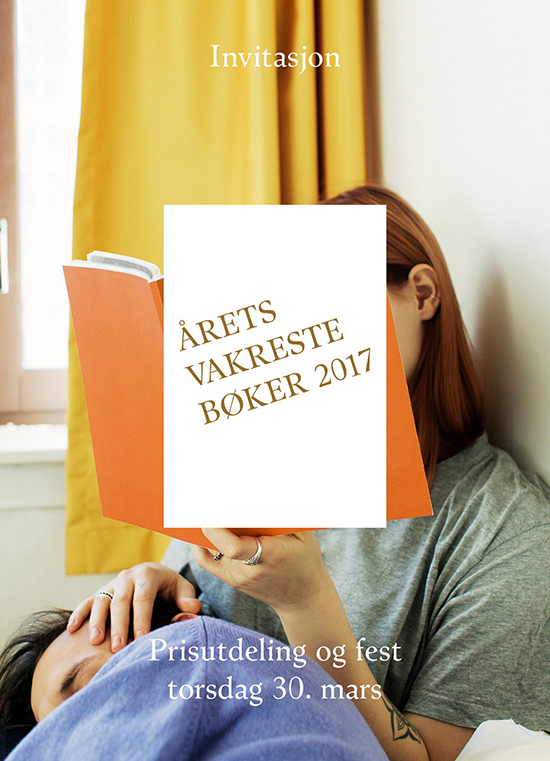 We have been comissioned to design the exhibition and catalogue for next year´s Årets vakreste Bøker, The most beautiful Norwegian books. Looking forward to callaborating with Grafill in 2017! 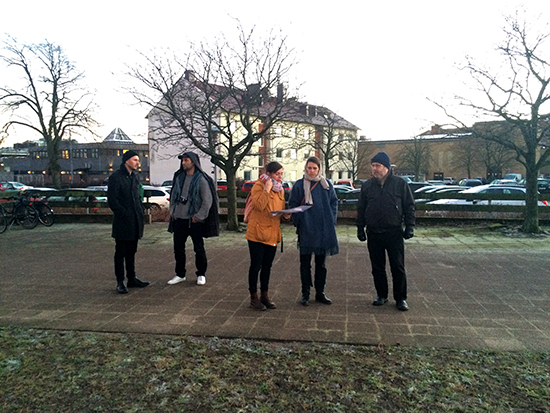 Site visit today in Falkenberg as part of Designresidens Falkenberg 2017. 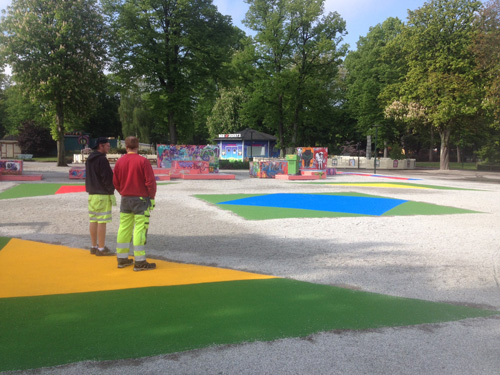 During Byggstudio's residency we will work with the development of a new park in central Falkenberg. The programme aims to explore the relations and hierarchy between the city and surrounding countryside. Looking forward! Commissioned by Region Halland, Falkenbergs kommun and Falkenbergs museum. 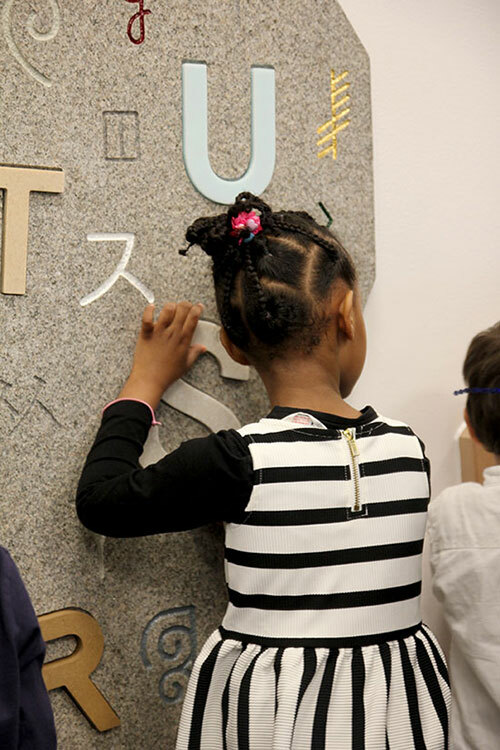 Yesterday was the inauguration of Byggstudio´s second engraved stone wall alphabet puzzle at the day care center Bergsgården in Rinkeby, Stockholm. 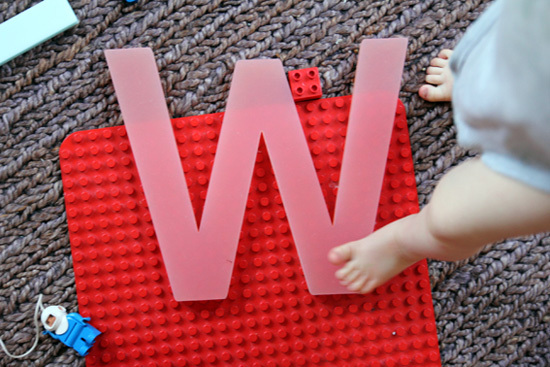 It was great to see all the kids in action playing with letters in different materials! More images soon. 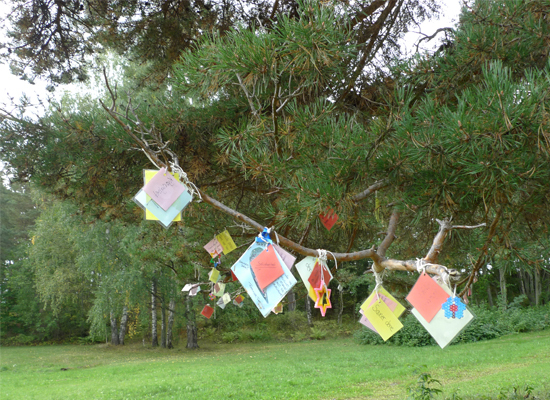 Project commissioned by the public art office in Stockholm - Stockholm konst and project leader Päivi Ernkvist. 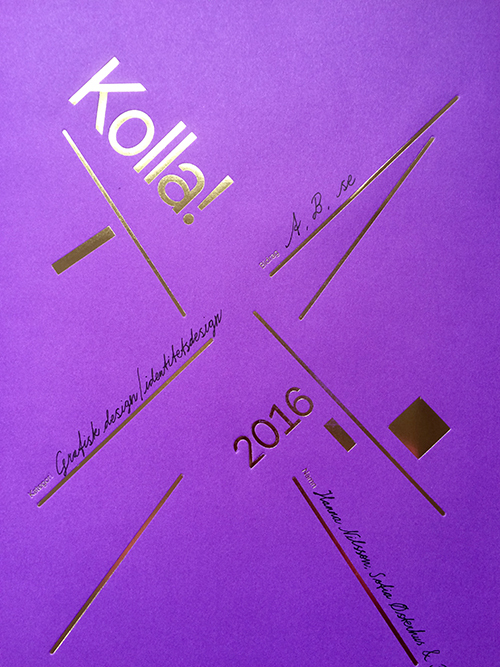 A, B, se awarded at Kolla! Thanks a lot! Byggstudio´s project A, B, se at the day care center Blomsterkungen in Hässelby was awarded gold at Kolla! in the category idnetity design. We are very happy that this kind of design project is recognized since it is aiming to improve children´s everyday environment. 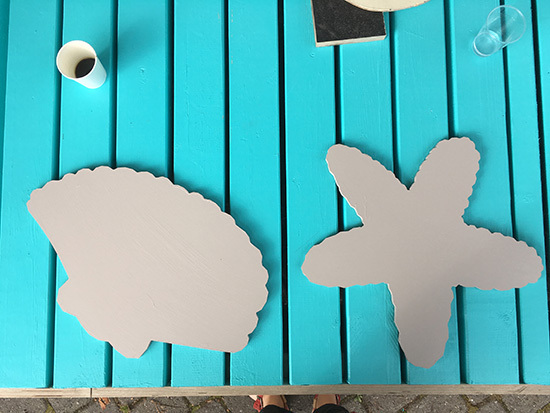 Table tops for an outdoor café at Jordan skole. In collaboration with Lala Tøyen architects and Byverkstedet in Oslo, Byggstudio has been invited to make design workshops with the high school students at Jordalen and Sofiendal skole to improve their school yard environment. More images soon. 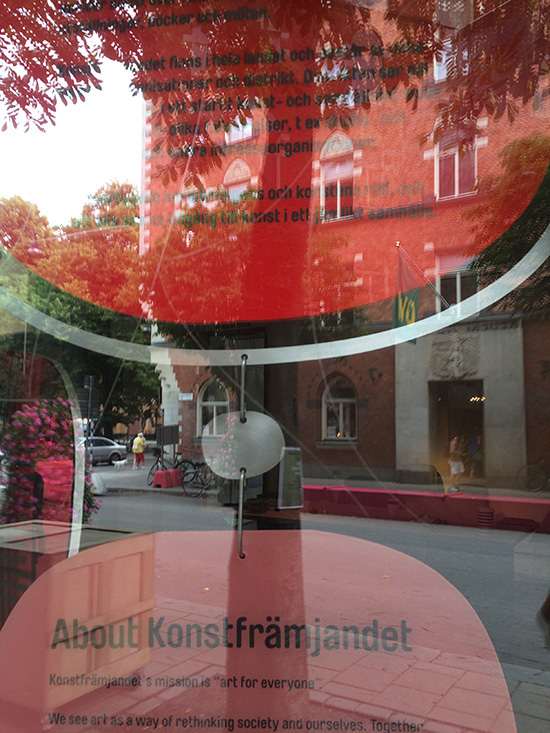 Byggstudio has designed a mobile window signage, based on the logo and visual identity of the Swedish art orginization Konstfrämjandet for their head office at Swedenborgsgatan in Stockholm. More pictures soon. 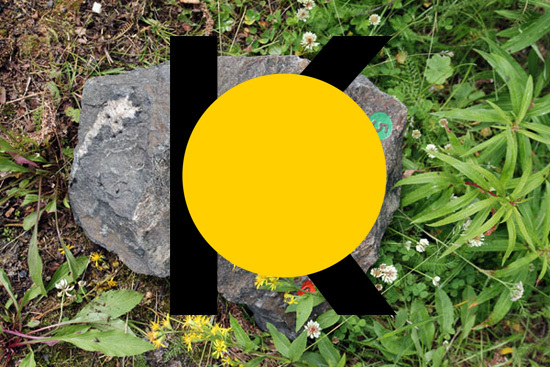 Byggstudio have been selected to design a graphic identity and signage system for a new public art project in Gudbrandsdalen in Norway. 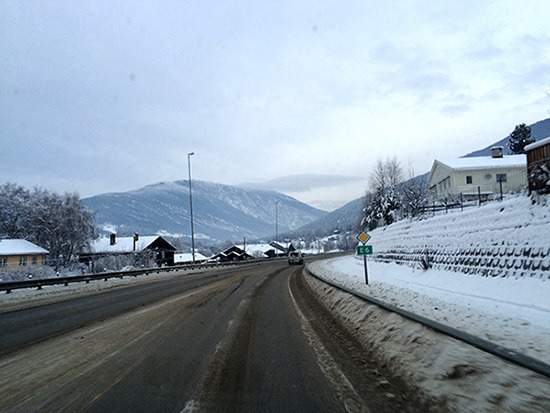 The new E6 motor way will lead traffic outside of the villages and the art project Vegskille ("crossroad") aims to lead passers into the villages for new reasons as well as restructuring the local development plan. A map and signage of the project will hopefully help passers finding their way. Commissioned by Oppland fylkeskommune. Part of our sketches for "building block" benches included in a temporary signage wall that Byggstudio designs for the new Tullinge Idéhus building. The public culture house will be built in Tullinge, Stockholm in 2016-2017. The building is drawn by Wingårdh architechts and the design concept is based on the interior architecture as well as the flexibility of the content of the house. Commissioned by Botkyrka kommun. Yey! 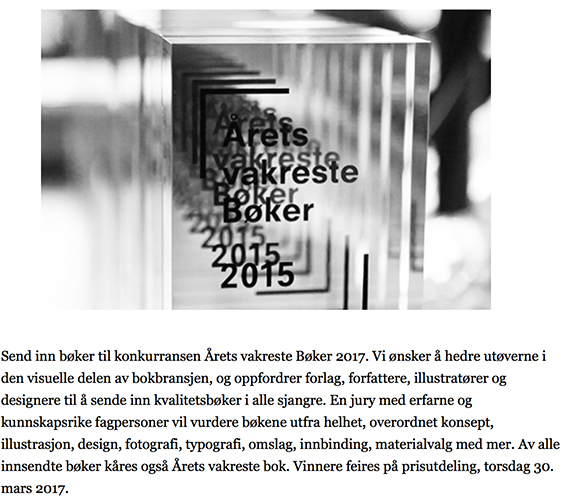 Byggstudio was gold awarded in Visueltkonkurrensen in the category Identity design for Aurlandskoen. 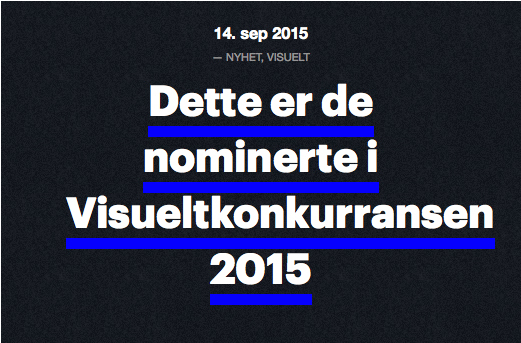 Today, Byggstudio have been nominated in Visueltkonkurransen for our identity work with Aurlandskoen. 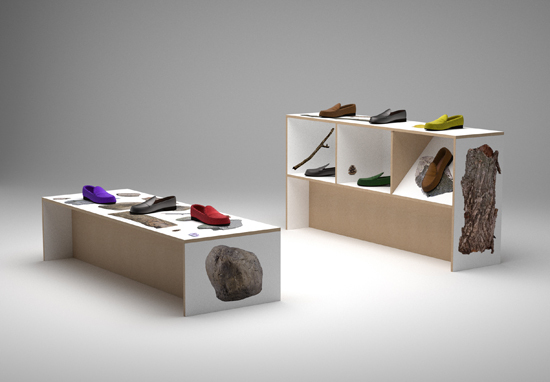 Newly designed Aurlandskoen store displays will soon be in the Husfliden store in Glasmagasinet, Oslo. A collaboration with furniture designer Markus Bergström. 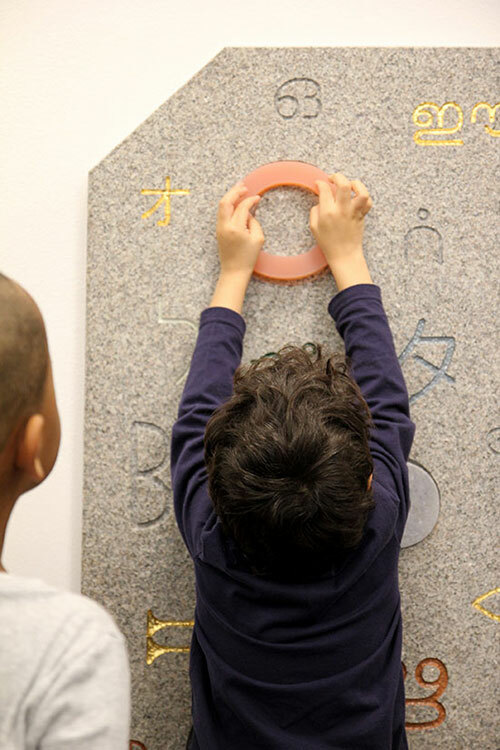 We are finalizing our granite artwork with engraved signs for the new Blomsterkungen kindergarten in Stockholm this week! Opening in September. 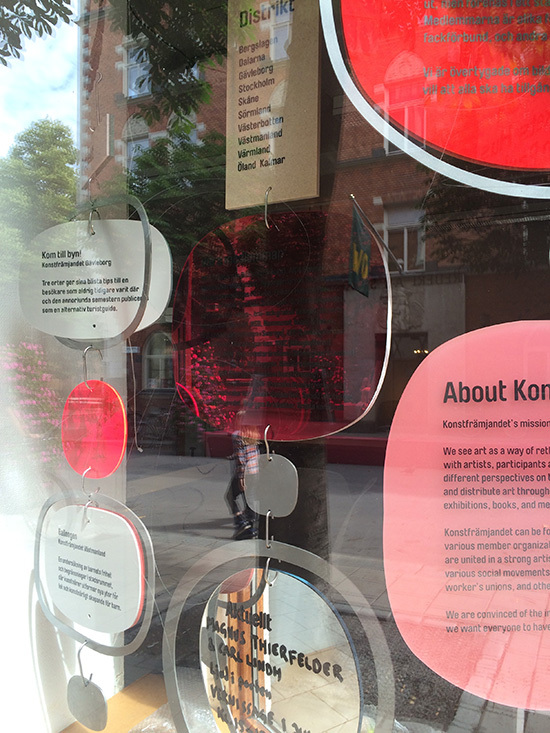 The project has been commissioned by Stockholm konst. 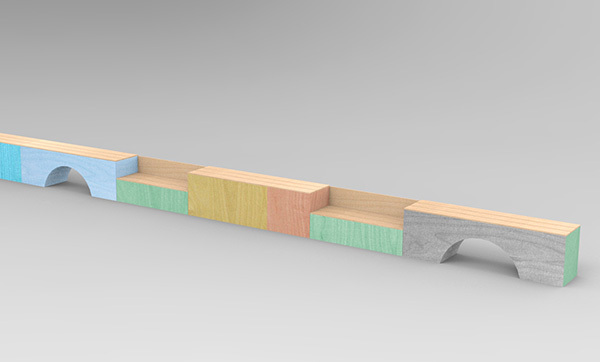 Byggstudio´s project for a new Stockholm kindergarten is now in production. 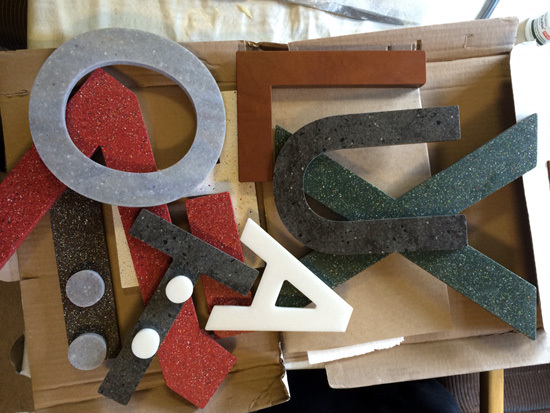 "Puzzle" letters to play with in different materials will be part of an engraved granite wall. Here´s our little testperson in action. Letters have arrived for our kindergarten project! Materials: leather, Corian, Durat, various wood and rubber. We have been commissioned by the Labour Youth Party to work on the new signage for the island of Utøya and their new campsite. A challenging and important project! 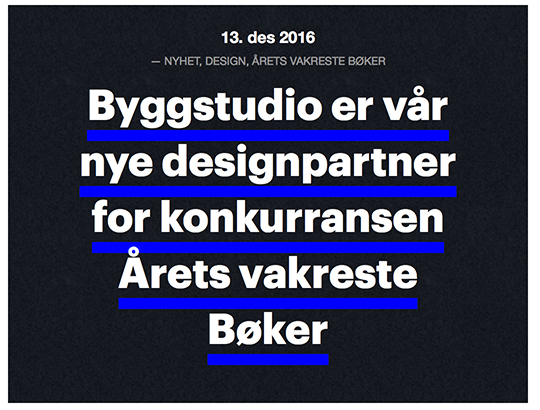 Byggstudio will talk at the We Love Graphic Design-seminar in Copenhagen on October 3rd. See you there! 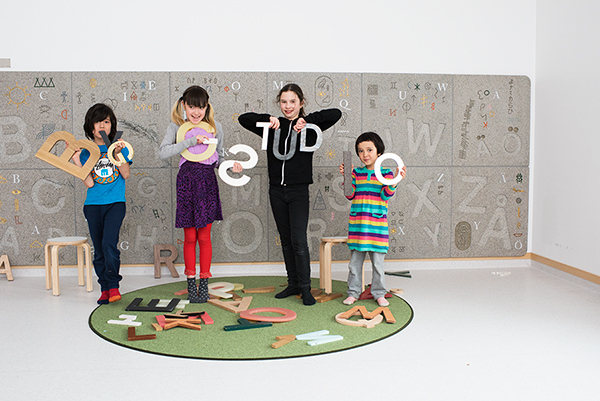 Byggstudio has been commissioned by Stockholm konst to design a wall interior with different alphabetic signs for some new kindergartens in Stockholm. 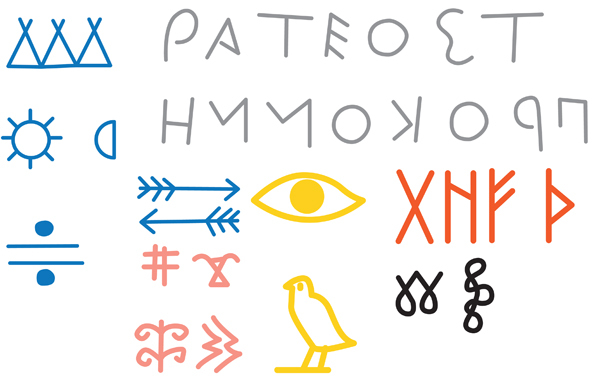 At the moment we are collecting and re-drawing all kinds of alphabets to play with from different times and cultures for the original design. 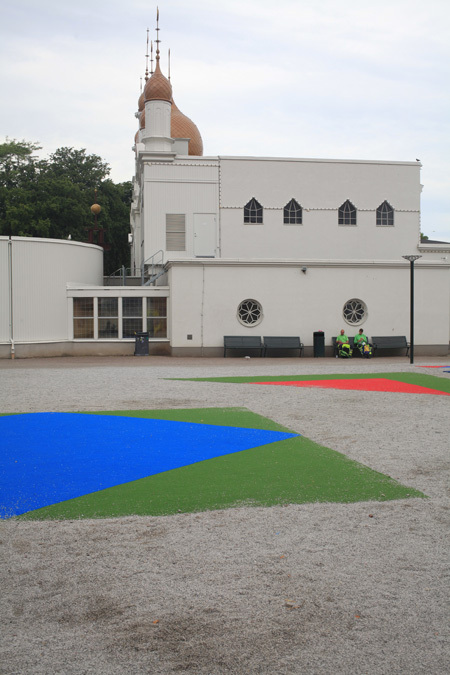 A Moorish geometrical grass- and stone pattern designed by Byggstudio is being installed in Malmö Folkets park this week. This summer, it will work as a frame on the surface that replaces the shut down Tivoli. The pattern refers to the "Moorish" architecture of the entertainment palace Moriskan next by. More images soon.